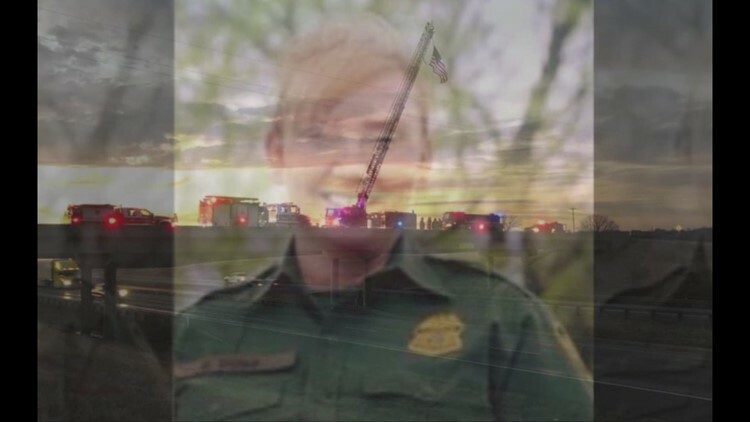 A law enforcement procession and a celebration of life ceremony honoring Border Patrol Agent Donna Doss will be held Friday in Abilene. ABILENE, Texas — U.S. Customs and Border Protection released information Wednesday afternoon about funeral services for its agent who was killed while assisting the Texas Department of Public Safety with a traffic stop. Participation in the procession is restricted to law enforcement, the release said; however, the public is welcome to pay their respects along the route and at the celebration of life ceremony. The procession will depart at 1 p.m. from the Hamil Family Funeral Home, 6449 Buffalo Gap Road; and proceed to the Taylor County Expo Center, 1700 TX-36. The ceremony is scheduled to begin at 2 p.m. Begin at Hamil Family Funeral Home at 6449 Buffalo Gap Road. Turn right onto Buffalo Gap Road. Turn right onto Industrial Boulevard. Turn left onto Treadaway Boulevard. Turn right onto South 11th Street (Hwy 36). Turn right to arrive at the Taylor County Expo Center. On Feb. 2, 2019, Doss died in the line of duty in Tye. Doss entered duty with the United States Border Patrol on Nov. 3, 2003, as part of the 569th Session of the Border Patrol Academy.